30 mins North of Inverness a large shallow loch, massive population of wild brown trout averaging 1lb in weight. Your fishing guide will be focused and dedicated to you and/or your guests. You will not be part of a multi-party group. 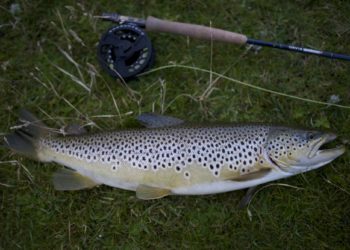 The season runs from April to Sept, with the peak of the fishing in May and June. 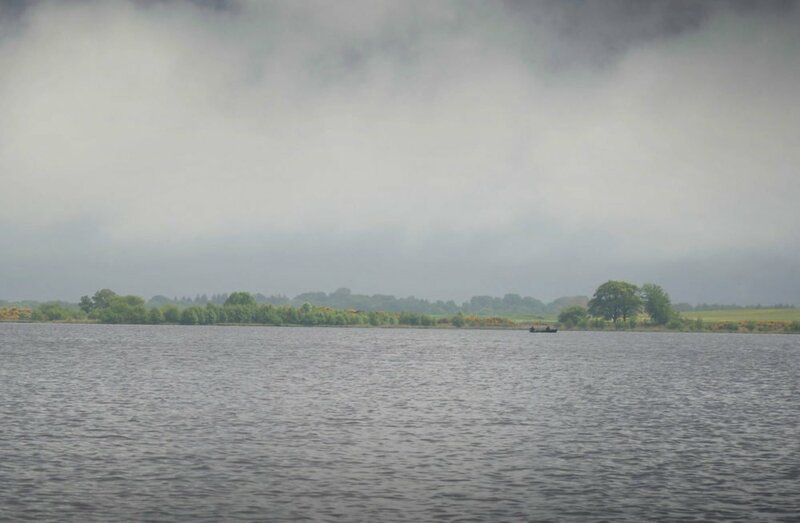 This stunning shallow clear loch offer trout fishing near Inverness, and some of the best wild brown trout fishing in Scotland. Fishing is fly only from a drifting boat which is sturdy enough to take two anglers and a guide. The wild brown trout in this loch are free rising and plentiful and mostly caught on surface dry flies. 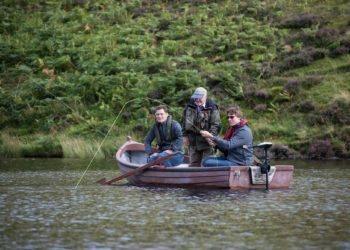 This loch is one of the best fishing spots in Scotland and produces some of the most attractively marked wild brown trout in Scotland. 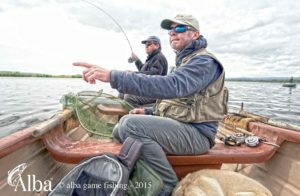 If you have never tried the Scottish fishing techniques of drifting in a boat fishing a team of flies, then this is an experience in Scotland not to be missed. 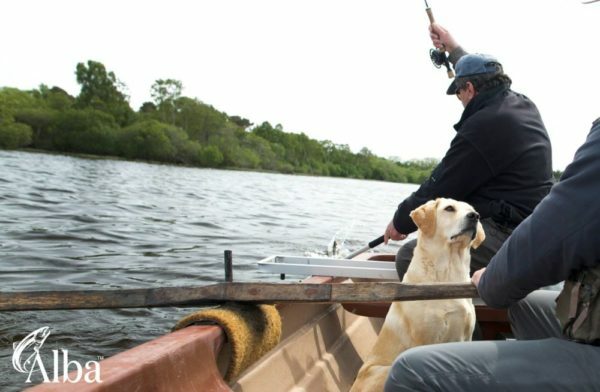 You will be collected from your hotel or fishing lodge by your fishing guide and driven through some scenic landscapes to arrive at the loch-side, where your boat awaits. On arrival, we will give you a welcome dram of fine single Malt and or tea/ coffee, change into your waterproofs and provide you with an auto-inflate life vest. Your guide holds a powerboat qualification as well as being a first aider and qualified Orvis Endorsed Guide. We will fish until lunch-time, then break for a delicious hot cooked lunch (optional) served loch-side. All the ingredients are locally sourced and organic. Throughout the day your fishing guide will take photos, and at the end of the trip, you will be sent a link to Dropbox to download your images. Your guide will be on your shoulder all day and give you casting tips, take photos and share stories. 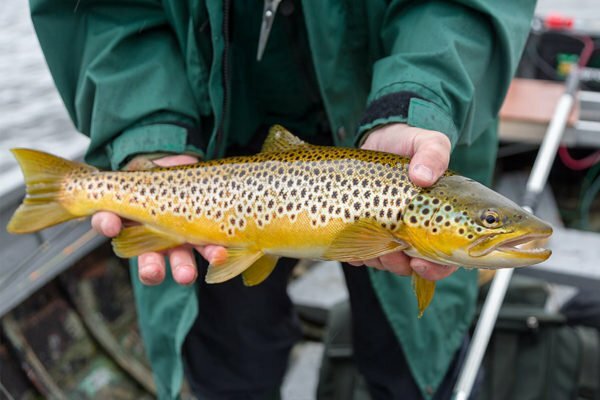 If you are looking to fish for wild brown trout in Scotland, then we offer day packages or fishing breaks which will connect you with freshwater rivers and lochs (lakes) in stunning Scottish scenery. We provide all the tackle you require. 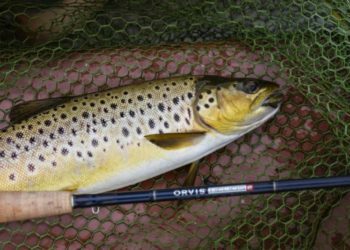 Orvis Helios rods, Barrio lines and the best hand tied flies for trout fishing in Scotland. We can complement the fishing experiences with professional photography, hot lunches, and transport in a Luxury Land Rover. A wilderness yet only 30 mins from Edinburgh, these stunning Edinburgh Fisheries produce hard fighting rainbow trout amidst iconic Scottish scenery. This is the best fishing close to Edinburgh hotels. 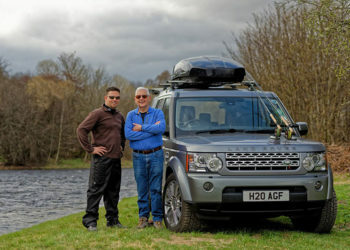 Your fishing guide (from Edinburgh) will be focused and dedicated to you and/or your guests. You will not be part of a multi-party group. 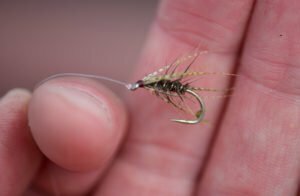 Season – All Year – Fly Fishing only. 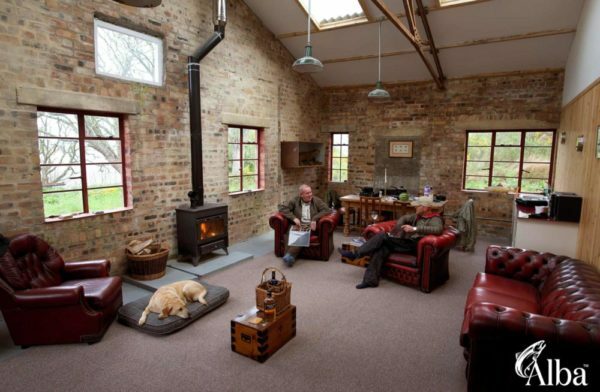 Alba has access to a private stretch of trout fishing on this world class river, within a Scottish country estate. Your fishing guide will be focused and dedicated to you and/or your guests. You will not be part of a multi-party group. Season – Grayling Mid June to End of February – Trout 15th March to 6th October – Fly Fishing only.